« Fall Festival and Pooch Parade 2018! Don’t miss the annual Holiday Tree Lighting celebration in Pier Village on November 25th from 4pm-6pm! 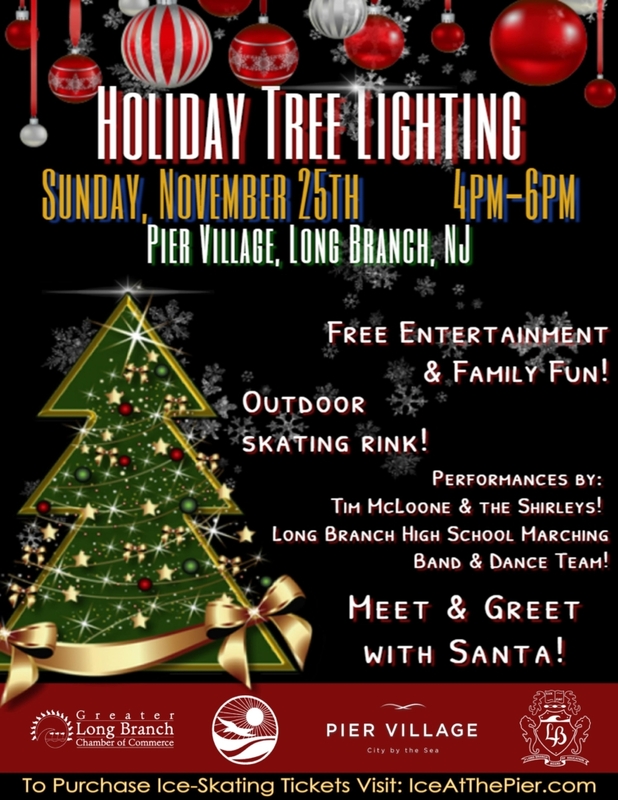 Our annual Holiday Tree Lighting will feature performances by Tim McLoone and the Shirleys and the Long Branch High School Marching Band and Dance team. There will be a meet and greet with Santa, costume characters, and free mini train rides around Festival Plaza. The ice rink, Ice at the Pier, will be open from 10am-9pm. You can buy tickets for ice skating through the Ice at the Pier website! Bring your friends and family to enjoy the beautiful night!